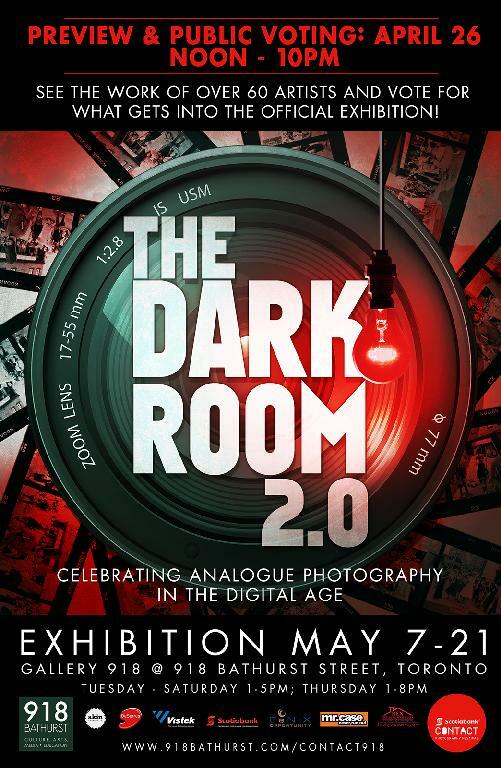 My print - a BW from a pinhole camera - has been accepted into the first round for a show called Darkroom 2.0 at Gallery 918 (at 918 Bathhurst, coincidentally one of Enzan's locations). The idea is to feature non-digital photo processes and prints. The public gets half the vote and the exhibit's judges get the other half as explained in the excerpted blurb below. The entries can be viewed for one day this Friday April 26th, from noon to 10 pm, and there's a sort of crowded non-opening between 7 and 9 pm. we encourage you to invite your friends. The event runs from 12-10pm. the public, mingle with friends, and talk about their work. As you know, half of the official exhibition will be decided by popular vote, so bring your friends so they can vote for you and your work."